When trying to combat stress, it can be hard to know where to even begin. We too often look for little comforts and short-term reprieves to catch a break from stress, instead of working toward addressing the issue as a whole and improving our physical and mental health. If this sounds like you, it’s important to know you aren’t alone. 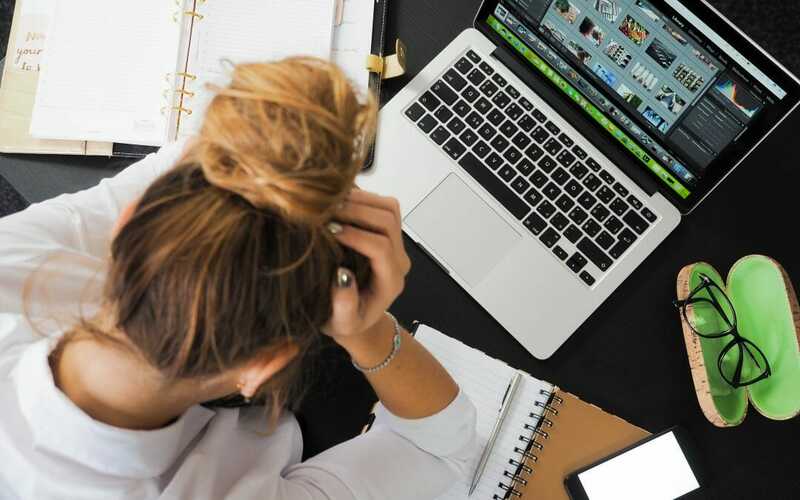 Seven out of ten adults in the United States experience stress daily, according to a recent survey from the Anxiety and Depression Society of America (ADAA), with most adults reporting that it interferes with their daily lives. Untreated, stress can lead to high blood pressure, hindered digestion, weakened immune systems, and depression. It’s best to think of reducing stress as a series of long-term changes you can make at your own pace, rather than a complete and immediate lifestyle overhaul. Happiness and health are lifelong commitments, meaning you have your whole life to work on your goals. So, don’t get overwhelmed. Put one foot in front of another, and follow these tips from Elitra Health to begin reducing stress in your life. You don’t have to cut comfort food out of your life, but it’s important to take a comprehensive look at your diet to see how your intake impacts your health. Consuming too much sugar and empty calories will cause your energy to crash, causing various stressors to build, as you struggle to stay alert and go about your day and tasks. At Elitra Health, our registered nutritionist can take you through an in-depth nutritional consultation to help you a develop a personalized nutrition plan that’s understanding of your schedule and body’s needs. The nutritionist will help you plan meals and snacks to streamline meal time and make grocery shopping less of a chore. As you begin to properly fuel your body, your energy will pick up, you’ll be less prone to sickness, and your mood will follow. Stress and behavioral health are tightly entwined, and a nutritionist will be able to help you recognize triggers in your diet and day. In an experiment published in the Journal of Music Therapy, relaxing music was proven to prevent stress-induced increases in subjective anxiety, systolic blood pressure, and heart rate among college test takers. Whether you prefer classical or Spanish guitar, try listening to calming music the next time you begin to feel overwhelmed or need to block out the sound of stressors, like arguing neighbors or gossiping co-workers. Studies have repeatedly shown that physical activity reduces fatigue, enhances cognitive function, and improves sleeping patterns, all while releasing endorphins. These benefits can help decrease anxiety by addressing multiple stressors, such as insomnia. A personal consultation with an Elitra Health Exercise Physiologist can help you find out what activities are right for you and your schedule. The physiologist will develop a personalized fitness plan for you after analyzing your muscle mass and body composition. They can also develop a plan that accounts for the reality of your jam-packed schedule. Because even just five minutes of aerobic exercise (jogging, rowing, swimming, or cycling) can stimulate anti-anxiety effects, according to the ADAA. The great thing about mindfulness is that you can make it as in-depth or simple as you need it in the moment. You can take a meditation class, download an app that walks you through meditation prompts, do a breathing exercise, or just sit quietly and take a moment to clear your mind before starting your work. Deep breathing is one of the tent poles of stress reduction. A guide from Harvard Medical School reports that deep breathing can slow your heartbeat and lower blood pressure, which will allow you to feel less anxious. It also aids in helping you let go of muscle tension. To try deep breathing, Harvard recommends finding a quiet place to sit or lie down and begin to breathe in slowly through your nose. Allow the air to expand your chest and abdomen fully and breathe out slowly. Close your eyes and imagine calming imagery, as well, if these options are available to you in the moment. The American Institute of Stress recommends scheduling time into your day to practice your breathing. Just take a couple minutes once or twice a day to ground yourself and work on your breathing at your own pace. Do you ever notice how you feel calmer after lighting a scented candle? You can replicate and strengthen this sense of peacefulness through aromatherapy. Studies have proven that aromatherapy can reduce anxiety symptoms, as certain scents impact the behavior of your brain’s neurotransmitters. You can buy aromatherapy diffusers for your home, or simply buy a small vial of aromatherapy oil that you can carry around and breathe in whenever you begin to feel stress. Some popular oils for reducing stress include peppermint, lavender, jasmine, and chamomile. Many people find relief from stress by taking a prescribed anti-anxiety pill in addition to practicing other stress-reducing behaviors. Forty million adults in the U.S., or 18.1 percent of the population, suffer from anxiety disorders despite it being highly treatable through medication and therapy. A therapist can teach you how to talk yourself through stressful situations and objectively unpack areas in your life that are causing you tension. It’s tempting to skip your annual medical check-ups when busy and under pressure to finish a billion tasks, but ignorance is not bliss when it comes to your health. A comprehensive physical exam, like the Elitra Exam, will help you figure out how to improve your overall health and avoid more stressful diagnoses in the future. Here at Elitra Health, our physicians see only three patients each day allowing you to spend unrushed time with our clinical teams to ask, answer, and review anything that is on your mind. You can undergo cancer screenings, a thorough review of medical and family history, and everything from food sensitivity to sleep apnea testing. You’ll receive same day results for all of your testing, and we coordinate all post-exam coordination of care and provide patients with preferred access to appointments at the top NYC specialists. Because comprehensive healthcare should reduce—not build—your stress.